LIVE AND DREAM 3-D BUTTERFLY WALL ART home decor, jewelry, decor, decorations, electronics, fountains, floor mats, art glass, vases, garden essentials, fireplace screens. Wise words have never looked so pretty! 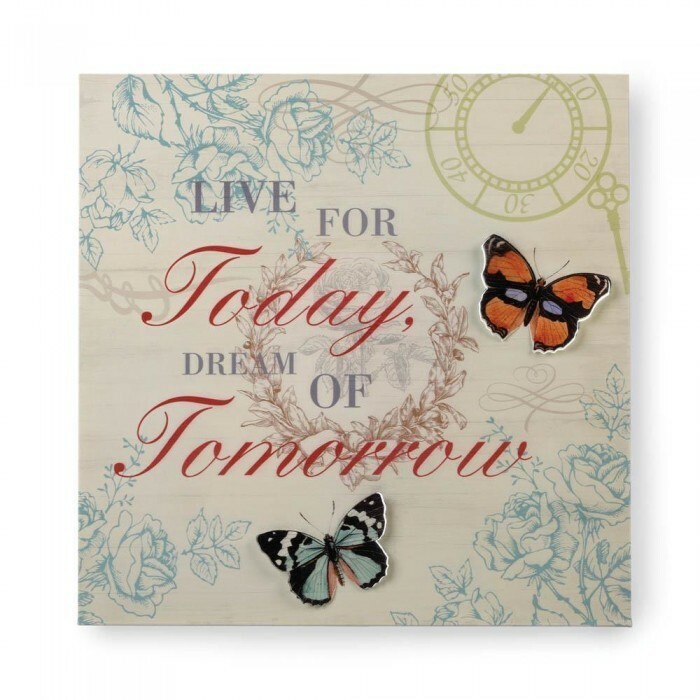 This iron wall art features two beautiful butterflies with cutout wings on a floral background, and the phrase reads Live for Today, Dream of Tomorrow. Material(s): IRON. Weight 2 pounds. Dimensions 15.9" x 0.875" x 15.8".